Trusted by Over 1000 Consulting Engineers Around the Globe! Our Flexible Licensing Works for any Company; Guaranteed! We are Proud to Provide Excellent Service to Our Clients, and by Improving Our Geotechnical Programs on a Daily Basis. 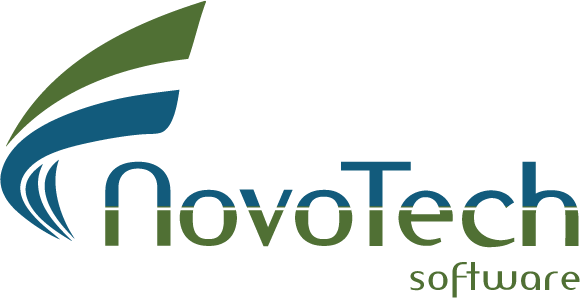 Explore the Collection of Novo Tech Software Products Today! Then you are at the right place! visit our NovoLAB Software page. Presentation of soil profiles and subsurface soil conditions is one of the key parts of geotechnical engineer’ job. In 2018/2019 we completely re-designed our VisLog software from the ground up, by adding exciting features and a tone of improvements. You can now enter your borehole data, and set up your 3D model in 10 minutes! VisLog can also communicate with AutoCAD (*.dxf , *.dwg) and even with more sophisticated 3D modeling software like 3D Studio Max. Soil is a complex material. As geotechnical engineers, we have learned over the years that it is important to have a collection of geotechnical correlations handy. This will help us estimate the behaviour of various soil types based on available data/parameters. We know that you have been looking for a network /multi-user license that allows several engineers using the software at the same time. We made it happen! Since March 1, 2019 we offer ‘floating license’; This means up to 10 users will be able to use the software at the same time. For more details about this exciting feature please see this page. We are glad to announce that the new version of our borehole log drafting and lab. testing software is ready. This new version supports both US Customary and Metric units and includes more performance improvements and new exciting features. Explore New Version of NovoLAB! The new version of VisLog is ready with more exciting features. This version is fully compatible with Windows 7, 8 and 10 and allows you to export your 3D model of the subsurface soil layers to 3D PDF – a new and amazing file format viewable by anyone. You can also import most of the third party 3D models (e.g. 3D Studio, DXF and DWG) into your VisLog model. Export to DXF and DWG is now added to the most recent version of VisLog. Explore New Version of VisLog! Do you need help with installation or have any technical questions? We will be happy to help you. Contact Us! If you are an existing customer, you can upgrade to 2019 versions by extending your support!